Whether you are a woman or a man, your hair speaks a lot about you. Having untidy unkempt hair depicts a careless personality while neat hair depicts a clean person. Even so, this might not be necessarily true but it is to some extent. The hair needs to be combed with the right comb, and so we have listed some of the best combs for men and women to attain the neat and classy look you have always wanted. All the combs below are handmade in Germany by Hercules Sagemann through hand-sawing, hand-cutting and hand-polishing to get the perfect shape. This comb is about 17.8 cm, and it is normally used for styling and detailing the hair. It is a mini handle comb that has rounded burrs-free teeth, and its antistatic effect makes grooming more comfortable. No matter the length or type of hair, this comb is good for you as it offers maximum hair protection. The comb is resistant to heat, and chemicals and so can last for quite a while. It is also durable and flexible and slides easily through both wet and dry hair. Get it here. Men mainly use the compact comb made of ebonite. It is good for ergonomics and has an antistatic effect that makes it comfortable to use. Its 20.3 cm length makes it perfect for grooming, styling and straightening the hair. Moreover, it is perfect for any type of hair and length. The comb has resistance to heat and chemicals meaning that it can be easily used with hair styling products. Get it here. This comb 22cm comb is all purpose and fits for everyday use. It has a silky feel with an antistatic effect for comfortable everyday grooming. Even though it is an all purpose comb, it is majorly perfect for hair straightening and hairstyling. The comb is made using thermoplastic, silk fibers and silicone that forms a strong and flexible comb. It, therefore, lasts for long and can easily glide through the hair as it gently massages the scalp. Get it here. The comb is 12.5 cm in length and has a leather case. It is gentle to the hair and can be used for all kinds of purposes. It also has an antistatic effect and good ergonomics that makes it comfortable when grooming the hair. Thermoplastic and silicone are used to make it in the hence it easily glides through hair. Moreover, it is resistant to chemicals and heat, and therefore you will get a product that is worth your money. Get it here. The comb is meant for women as it had rounded burrs-free teeth for styling, grooming and straightening the hair. It is made of ebonite and has antistatic effect for maximum hair protection. The 19cm comb can be used by any woman regardless of the hair length and type. Moreover, they are heat and chemical resistant making them indestructible over long periods. You will definitely get a product that s worth your money. Get it here. This handle comb is lilac in color and has coarse teeth and antistatic effect for hair protection when grooming. It is 21.6 cm in length and decorated with Swarovski elements by Mont Bleu. This makes it ideals for women with a fetish for sparkly items. Polycarbonate and polyoxymethylene are used to make the comb, and this ensure that it is flexible for strong for easy gliding through hair. Get it here. The 20.3 cm plastic comb is lilac in color and has antistatic effect for protection while grooming the hair. It has good ergonomics that makes it comfortable for you to comb your hair with ease. Polycarbonate and polyoxymethylene are used to make the comb, and they ensure seamless gliding through hair during grooming. It also heat and chemical resistant making durable in the long run. Get it here. Neat and well-kept hair is the pride of any woman. Women have an attachment to the hair such that if it unkempt they feel incomplete. There are different hair accessories, including fine hair brushes, used to achieve a perfect well kept hair including hair pins and clips. If you are the kind of woman who loves clean and neat hair, you do not need to worry. We have listed some of the hair clips and a hair pin that will help you accessorize your hair and create an elegant look. Hair pins are always thought to be used only by small girls, but this is not the case. Both young and elderly women can use pins to accessorize their hair. Mount Bleu offers hairs pins that are made using high-quality stainless steel. They are decorated with Swarovski crystals that are in a range of beautiful colors. Of most importance is the fact that the clips do not contain any harmful metals like zinc. They are safe to use and do not cause any irritation. Moreover, they can be a great gift to your friend, wife, sister, mother or any other special friend. Get them here. Hair clips are made using different materials and designs. Some are made of wood, metal, plastic while others are made using a combination of wood and metal. There are various designs ranging from punch clip to bow clips all with the purpose of holding back the hair. Mount Bleu is a company in Czech Republic that makes the different type of accessories including hair clips. Their hair clips are original and decorated with Swarovski crystals of various colors. It adds a sparkle to your hair making sure that you not only get attention wherever you go but also make you look different in an amazing way. A majority of them are made using wood and metal that are of high quality, durable and noon-irritant to the skin. The metal offered by Erickson creates a chic look that helps keep your long hair in place without falling off. The hair clips are made purely of metal with copper, gold and silver brushed colors to create a variety that you can choose from. Their lengths are approximately two and a half inches to make it easy to hold your hair in the right place. You ought to try it out, it is quite great and can save you the stress that comes with falling hair more so when you are going to the gym, or even going to work. The clips offered by Tasha are bow-shaped just like the name suggest. They are simple yet classy as they have shining cone studs and colorful crystals encrust on them. They are made of metal, glass and polyester so that you have a variety to choose from. They all have a standard size of one and three-quarter inches by two and a half inches. When it comes to having a stylish makeup, I have tried many hair products from mousses to pomades to hair waxes in the quest to have an elegant, stylish red carpet look. All these hair products have given me amazing results. However, let us be realistic these different hair products offer a different story. Some have multiple benefits, but you need to choose a single product so that you avoid buildup of dandruff, slowed hair growth and clogs pore because of using more products at once. If you need best results, you need to keep it simple and light with single products. We want to focus on five products that a woman should have to be guaranteed a healthy hair. For every woman to keep a nourished hair, they need to have a nourishing conditioner and shampoo in the shower. Regardless of the kind of hair you have you need to have a hydrating shampoo that will give you a perfect hair texture and nourishes the hair without weighing it down. Hydrating shampoo and conditioner are a styling hair product that you cannot afford to miss. When you use the conditioner, you will have an instant and long-term volume. The essence of thickening spray is to create consistency throughout whether you hair is thicker mane or super fine hair. The Mousse works best for medium to thicker mane hair types. The thickening sprays work such that they hold thicker hair. You spray sparingly if you desire a lighter hold. The women that have finer hair need more foundation to keep the styles longer, and that is the reason thickening spray works great. Those women that desire medium hold the flexible hairspray product should be their arsenal. The hairspray products are thermal protectors and finishers before using the curling iron. They also help in taming frizz. In the modern day, people are looking for creme that work well with every hair type. These styling creme provide moisture and works with every kind of hair. You should use the round brush to help polish all the ends. However, when you are using a blow dryer, the styling creme product expand and create the nice density and volume. The styling creme helps to hold the hair in natural waves, and they are awesome for frizz reduction if air-dried into your hair. If you desire a fine and straight hair, use the lightweight creme while for thicker hair opt for a more calming creme that will stop frizz and helps to slim down the thick hair. If you want to forgo hot tools, then texture spray offers you the easiest way. Being a new product in the market, it is recommended for every woman and girl regardless of your hair type. The texture spray adds movement to hair that needs a boost. You use it by putting the head upside down then you spray. Ensure you scrunch the hair tight to add some subtle waves. The texture sprays can be used on dry and wet hair. It is also useful in building resistance to dropping and volume. The texture sprays will help you to deal with excess oil, dryness, adds a natural looking texture and creates capacity. Extra tip – A hair brush and a hair comb. Not just any hair brush or hair comb, get a good one. Get a good hair brush here and a good hair comb here. In the life of a woman, the hair is part of their body that they will always pay close attention. It is because the hair defines their beauty. In this article, we will look at some of the essential hair accessories that a woman needs to own. The arsenals of hair accessories, we will discuss will ensure you hair remains at its very best all the time no matter where you are. To ensure that your hair is always in the right condition at all times, you need to own clips, headbands, curlers and ties to name a few. These great hair accessories are what you need to remain smart throughout the day. As a woman, you can never go wrong with your looks if you have the following five hair accessories as part of your collection. Whether you have a thin, thick or wavy hair, you will find ties and clips essential. You need to buy a pack of hair ties that range in different colors so that you can match each clip with the shades of your attire. They are also helpful because they are useful during emergencies. You also need to have a collection of large and small hair bands because they are incredibly useful in keeping your hair secure and tight during the workout. The clips also keep your hair out and up when you are busy at work. Get hair pins here. The headband is the second hair accessory you need in your handbag. They come in hard plastic material or cloth headbands. You can use two or more headbands to give your hair the ultimate retro style. The headbands are useful because you use them when attending a glamorous event. If you want a perfect retro look and elegant style, you can buy gold and jeweled headband that matches with your attire of the day. Though many women do not like the idea of brushing their hair. They prefer to comb because hard brushing causes strands to break. However, reasonable brushing can help spread the healthy natural oils, which means a brighter and shinier hair. Add at least two brushes that include a round hairbrush and paddle brush to your hair arsenal. A comb, on the other hand, will help you reset the hair after brushing. Get good hair brushes here and hair combs here. These hair accessories make every look possible. From wavy summer hairstyles to loose and classic curls the curling iron will make the job done. When buying a curling iron, please choose the one that target the curl size. Remember that smaller irons make tighter curls and also check if it is adjustable so that you can always achieve an ideal heat. Those with thin and light hair should be careful when they are using the curling iron. When you expose your hair to a lot of heat, you will damage the hair so ensure that you configure the iron before using it. Hair straighteners are the accessory that creates the elegant and stylish hairstyles you see in supermodels and celebrities. They help you to achieve a straight, shiny, and smooth hair from the comfort of your bedroom. The hair straighteners will help you achieve the ultimate versatility is hairstyles. Unlike curling irons that come in different sizes and might be difficult, to select the hair straighteners are easy to choose. Just make sure you check the convenient features before you buy and adjust the temperatures to avoid damaging your hair. Your hair speaks volumes about you. The attention you give it contributes a lot to your personal image. Therefore, it is important to give it the importance it deserves. Give the attention it deserves and stand out from the crowd. One way of doing so is to use accredited beauty accessories that don’t disappoint, no matter what. One of the must have accessories is the comb. Talking of combs, you don’t just go for anything called a comb; Go for tested, approved and recommended combs. Here are 8 of them: They never disappoint. This is a wooden hair brush with specially selected boar bristles. It is good for any kind of hair and for daily use. It is about 9 inches in length, which gives you a good grip while using it. You definitely love the fact that it is soft lo the scalp. Get it here. This brush is also suitable for daily use and for all types of hair. It is wooden as well, with selected boar bristles. It is also firm in the hands, given its 10 inch length. The soft boar bristles are very gentle to hair. They don’t cause any damage to hair. Neither do they generate static electricity. You will also definitely love the fact that they are easy to clean. Get it here. Made of polished wood and very soft boar bristles, this brush produces a soft touch to your hair and makes your scalp very relaxed. Its size makes it easily portable for use on the go. It is only 7.2 inches long, therefore, it easily fits in any purse. Use it daily on any type of hair. Get it here. This one is very high quality brush, exclusively made by hand. Using it gives your hair a pure shine of adorable beauty, due to the quality the boar bristles used. The nylon pins in pneumatic cushion massage your scalp softly. Use on any type of hair. It’s about 10 inches, a length that gives you a firm grip while using it. Get it here. If you love uniqueness, then choose this one. It is about 9.7 inch in length, with a diameter of 2.9 inches. It is long enough to give you a firm grip in the hands while using it. It is excellent for daily use on any type of hair. Get it here. This is a beautifully decorated hair brush that any woman will love. It is good for all type of hair. It is an excellent gift for women. Get it here. This one gives you a gentle grooming of your hair. It is made from walnut and has rounded, elastic polyamide pins set in pneumatic cushion so as to guide the hair smoothly through the bristles. You can use it on any length and type of hair daily. It is 9.7 inches long, giving you an excellent grip. Get it here. This one is the smaller version of the one before it. It is only 7.3 inches long, hence it easily fits in a purse. You can use it on the go, on any hair of any length. Get it here. Two more hair brushes to worth mentioning here the radial brush 9346 with ceramic coating and boar bristles and the scalp hair brush 8204. The radial brush has ceramic coating so as to help spread heat evenly. Its pure boar bristles make the hair very smooth and shiny. The scalp hair brush detangles strained and knotted hair gently. It doesn’t allow tugging at all. You can use it on all types of hair as well as extension. Get radial brush here and scalp brush here. Where to get those hair brushes? Combs are the best means for hair grooming, which traces back its existence about 5,000 years ago carved out from wood, ivory or shells, and as accessories in ancient times. Today, combs are great practical tools for hair care, and Mont Bleu Combs bring fashionable, pretty, elegant combs which let you comb your delicate hair in style and boost confidence altogether towards a more attractive you! Mont Bleu Hair Combs holds manifold features that make it a prized possession. Each comb is built strong yet gentle on hair and scalp. The combs possess a unique antistatic effect, rounded burrs-free, or medium to very coarse teeth that provides utmost protection your hair deserves. The handle is ergonomically designed in a way that perfectly fits the hand that cradles it. Delight in lightweight, flexible, all-purpose, durable, and incredibly almost invulnerable combs that seamlessly glide with a silky feel through your delicate hair, while stimulating a gentle, pleasant scalp massage. It is ideal for any hair type and length. Arriving in a myriad of classic and modern colors, you can pick the perfect comb which best defines you. Choose among vivid and fashionable colors ranging from blue, blue-metallic, lilac, red, silver, silver-metallic, black, gray, timeless colors and hues. Combs are made of high-quality, top-notch material whether ionized thermoplastic that is heat and chemical resistant, comprised of carbon fibers or ebonite, polycarbonate and polyoximethylene, silk fibers, silicone, all monitored by strict quality control. Hand-sewn in the handmaking process, hand-cut and hand-polished, every comb comes in the right length and perfect shape. It exhibits excellent workmanship within each exquisitely detailed handcrafted decoration. Mont Bleu offers Europe’s finest, innovative, unparalleled combs studded and complemented with genuine Swarovski Elements. Is it suitable as a gift? Yes! You give the gift of comfort and care within something that’s quite useful, a comb for everyday use or whatever purpose the person dear to you may have for it. Your thoughtful gesture will surely be appreciated and treasured. Some combs arrive in its own case like a leather pouch, which makes it even more ideal for gifting since your recipient can keep it close and carry it around wherever he or she goes. Who are these combs made for? Mont Bleu Combs arrive in a myriad of sizes and style, including handle comb, tail, universal, pocket, gents, ladies, dressing, cutting, and curly hair comb. That said, there’s one for everybody! Anyone will be happy with such a personal, valuable belonging, it fits either the machismo or gorgeous femme, and the home or office person or professional business owner. Quality aesthetic combs are available for retail or wholesale, which will yield extreme satisfaction to customers. Mont Bleu is open for long-term partnership and comes with great e-shop discounts for volume orders. The combs are ideal for businesses such as salons and barbershops to aid in hair styling, hair straightening, for either wet or dry hair with great ease. Comb production is suitable and recommended for selling in various places to be showcased in display stands, such as cosmetic and perfume shops, drugstores, pharmacies, accessories and fashion boutiques, jewelry shops, and any suitable establishment. Mont Bleu allows private label on their products as well as promotional purpose, sharing their line of collection for others to benefit from and allow many people to enjoy the goodness of a one-of-a-kind comb. Gifts and souvenir shops are best equipped with a very useful and beautiful item. Mont Bleu combs are wonderful souvenirs which will make any event remembered in a very special way, and will never fail to bring a smile on a person’s face every time the comb is used. Where to get Hair Combs? While washing hair is the perfect way to eliminate any dirt particles including sweat and dust, there is a need, however, to practice a proper way of washing it. Use warm water, as the scalp is very sensitive to hot water, together with an appropriate shampoo. Thorough rinsing of hair is crucial so that no traces of shampoo and hair care products remain. It should be done with utmost care, especially when the hair is long as it is susceptible to breakages. Use a dry towel while gently drying it. 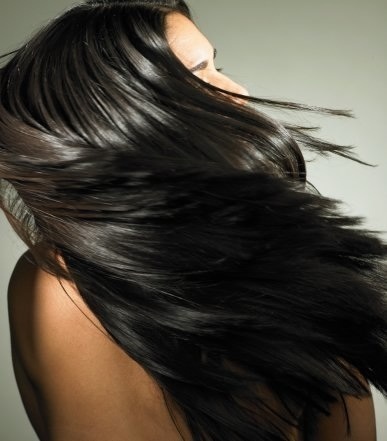 Proper care of your hair spreads down to the products used including modern hair foods and shampoo. Healthy, shiny, and flawless hair typically depends on the type of hair products used. It has been proven that just like everyone has unique hair, shampoo to be used on it ought to be unique too. It just means that you must use the best one for your hair among the vast selection available. Although healthy hair dwells majorly on proteins in the diet, too much of it can cause brittle and desiccate hair. Therefore, finding a hair product having all the essential ingredients of healthy hair is the most preferred. Luckily, however, there are quite a number of them available in stores today. Gentle massaging lasting for five minutes is enough for your hair. You can do so yourself or ask someone, often after washing and drying your hair. Massaging ensures proper breathing and circulation of air inside the hair. For an even shinier, healthier look, you can use vinegar to rinse your hair. Doing so at least twice every year before shampooing it guarantees complete elimination of dandruff in addition to bringing a beautiful touch. The procedure requires a little vinegar in warm water mixed adequately and then applied to the hair before rinsing and washing it the conventional way. Soft and tangle-free hair is easy to comb, oil and even plait. To ensure that it doesn’t break and remains soft, you can use egg oil, evenly applied to your hair or mix almond, castor, olive, lavender, and coconut oils and apply them too. Doing so and leaving them on your head for at least four hours, twice every week is enough to restore the beauty in your hair. Sometimes instead of using a dry towel to dry your hair, it’s better to let it dry on its own. Wrap a dry cotton cloth as towels are frequently rough and wait until it is dry. While brushing your hair offers perfect spaces for breathing and hair conditioning, often over-brushing causes breakages, frizz and split ends. Use a good comb to help open skin follicles that promote the growth of hairs. Often, hairs tend to break while wet, especially using an improper comb. Therefore, while still wet, you can use a wide comb to brush and straighten your hair. The best way of eliminating split ends and ensuring uniformly-sized hair is by regular trimming. You can, thus, create a habit of cutting it every three months. There are certain hairstyles that lead to damaging the hair roots and even the skin follicles. Using hair-friendly styles will ensure prolonged beauty of your hair in addition to an uninterrupted supply of sebum. Repeated bleaching and coloring of the hair can have adverse effects on the general look of your hair. A temporary coloring is typically acceptable, unlike using strong dyes and other chemically-laced bleaching products. While this one might sound absurd, did you know that stress can cause hair loss? It can lead to loss of appetite too and thus one must be very aware of stress. Always ensure to exercise regularly and eat a balanced diet. The body and thus the hair will never lack essential ingredients and nutrients for its healthy growth. Fruits and vegetables supply an abundant amount of vitamins, mineral salts that are important for the general well-being. Vitamins help fight diseases relating to hair and thus having fruits in your daily diet is a great deal. Additionally, regular visits to the doctor can ensure healthy hair. It maybe one of the most important beauty tools you use every day, so choose wisely and pick quality over price. These days you can find good quality for relatively small prices. Where to get quality Hair Brushes? Let’s talk hair, I mean hair care. Recently I received nice compliment about my shiny hair. Person, who did that, asked if I use special hair treatment like masks or argan oil. Right now I have to make a confession: I do not use any special DIY or high-end masks, it was a spontaneous decision. It was a long way full of mistakes and bad results. I did go crazy about Moroccan oil, Mystic oil, SLS free hair care line etc. But at the end I realized the “simple is best”. After long and very productive week, it’s time to learn something new you might not know. Very interesting facts about our hair. Co-washing. Does it really work? Co-washing is quite new method of hair washing, which was invented by African American girls. We know that curly hair tend to be dry and unruly. Sometimes even anti frizz shampoos are not effective. Co washing is a good alternative, if tired from unruly hair.